Who doesn’t want to enjoy a perfect steak grilled to perfection on a football Sunday? 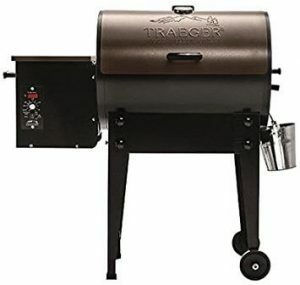 Indeed, it’s our love of American football, PBR and a searing Traeger Elite grill on a concrete parking lot that inspired us to create this website for all Traeger grill aficionados. It takes some skill to cook a perfect Traeger steak. Many people either end up over cooking the steak or leaving the steak a bit uncooked from few ends. They lack knowledge as to how a steak can be cooked to perfection. 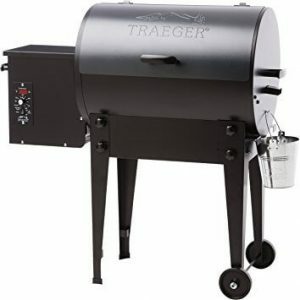 Here is the perfect guide to help you out with the perfect steak cooking on a wood pellet grill. Just follow few simple steps. First try to get a good sear, as searing helps in sealing the natural flavors. It also infuses new flavors that go perfectly with a dish. 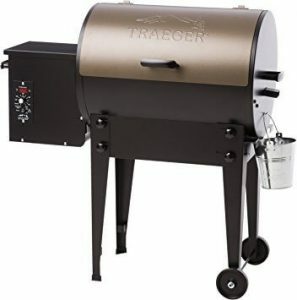 For getting a good sear, preheat your grill and set the temperature to smoke. 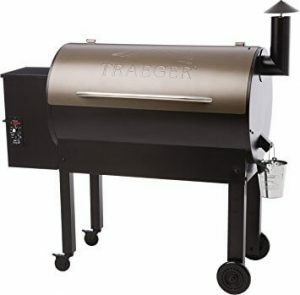 Make sure the lid of the wood pellet grill remains open while doing so. After 5 to 10 minutes, the fire starts and smoke begin billowing. After the fire is established, close the grill lid and set a high temperature to continue preheating for around 10 to 15 minutes. 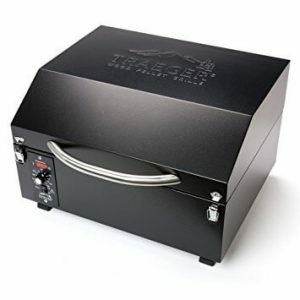 Now after 10 to 15 minutes, open the lid and make sure the grill temperature is more than 350 degrees F, as searing and grill marks occur when the temperature is above 350 degrees F. When the desired temperature is reached place the steak on the grill’s hot spot and close the lid for around 3 to 5 minutes, so that the steak gets cooked properly. After 5 minutes, flip the steak and repeat the same process. 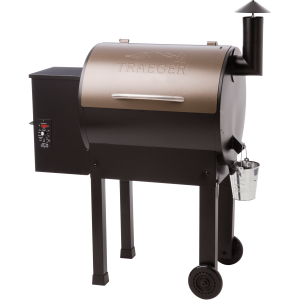 The cast iron present in your wood pellet grill allows even heat distribution and also retains heat, at the same time it also facilitates slow even cooking for providing a deeper sear. Allow some time, and let the steak cook to perfection, so that it is juicy from the inside and tender from the outside. The internal temperature should be raised to somewhere between 125 to 135 degrees Fahrenheit to get the perfect tender, medium and rare steak that has all the required flavors intact along with the sear marks. Post cooking, allow the steak to rest for 10 to 15 minutes and then serve it for enjoying the flavors that are intact in the steak. You don’t need to sacrifice the authentic wood fired taste for only getting grill marks on your steak. Both can be enjoyed if proper steps are followed to cook a steak or any other type of meat. 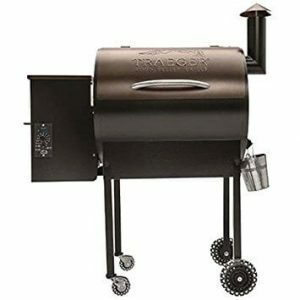 There are also various cast iron grill accessories that are available in the market, and same can be purchased for a better searing experience. The main reason why the desired temperature should be always above 350 degree F is that, heat above this temperature allows for the meat to caramelize and also have brown spots on its surface and both are guaranteed to improve the flavor of the steak. The main reason why people prefer eating such food is mainly because of its flavors. So always try to cook in such a way that the flavors always enhance for a divine eating experience. 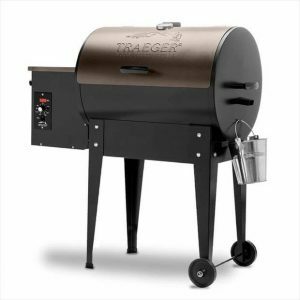 Make sure to check out our Traeger product assessment, if you’re in the market for a wood pellet grill.